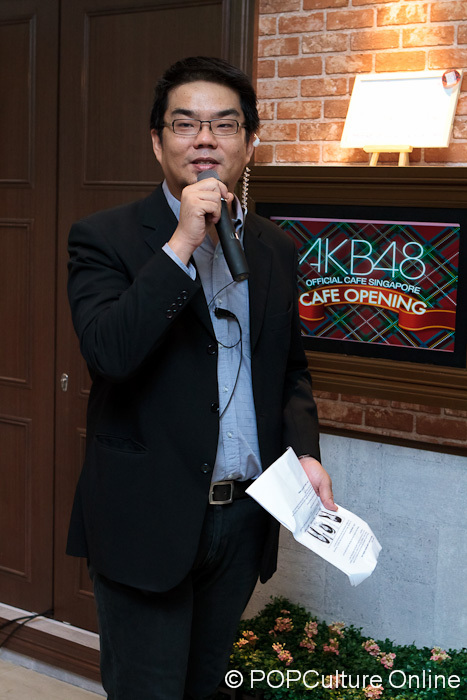 On 25 June, AKB48 Singapore held the soft opening of the AKB48 Official Café Singapore, the world’s first AKB48 concept café. Designed to give diners the experience of AKB48’s theatre in Japan, the Café features a theatre-style shop front and a mini stage within the café. 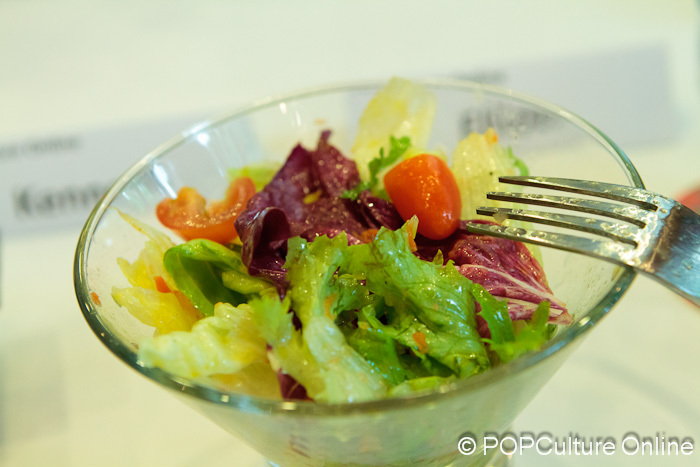 Diners can look forward to exclusive AKB48 video screenings and get a chance to meet their favourite AKB48 members from time to time, while enjoying modern Japanese fusion food. 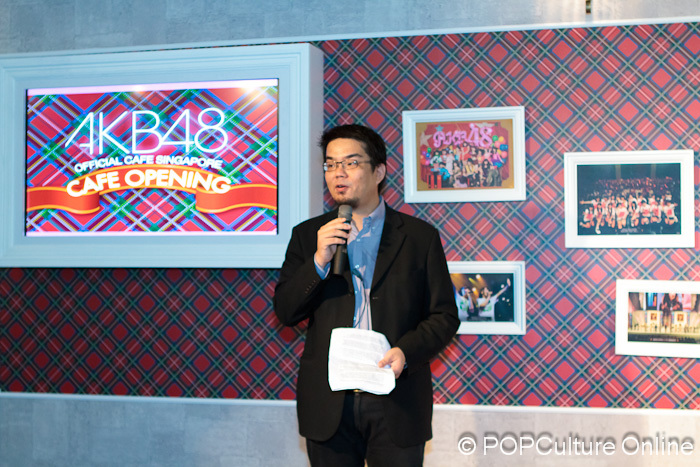 The Café is the latest in the series of initiatives for the AKB48 Singapore Project, which includes the successful introduction of AKB48 Singapore Theatre “Live” Series concerts and the AKB48 Singapore Official Store. Three of the AKB48 members, Maria Abe, Haruka Shimazaki, and Miyu Takeuchi were in town to officiate the soft launch, and we got to have a chat with them as we found out their early inspirations and what they hope to share with the audience during their performance. POPCulture Online: What inspires each of you to be part of the music and entertainment industry? MIYU TAKEUCHI: I've been singing since I was young, in fact my mother was a singer in a musical and I first drew inspiration from her. HARUKA SHIMAZAKI: I learnt to play the piano at a young age. Music has always been something I love and that's what drove me to want to be a singer. MARIA ABE: At the age of 4, I started to learn to play the Electone (The electric version of the piano). That would be my first taste of music and wanting to be a part of this industry. 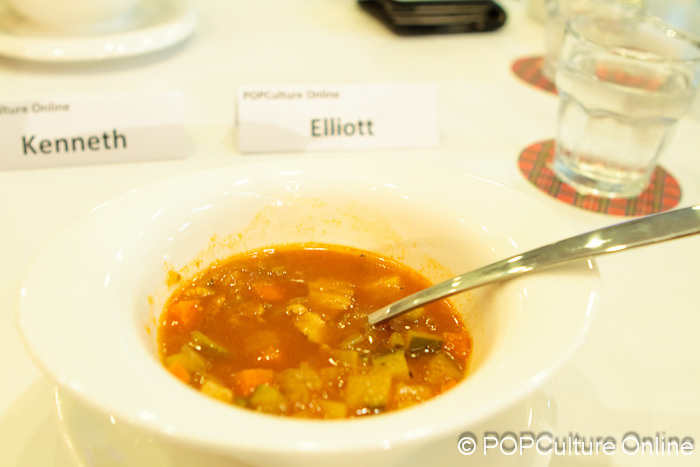 POPCulture Online: How do you feel about performing in Singapore and what can we expect from you? MIYU TAKEUCHI: Well it's emotional for us because we are looking forward to our first time performing in Singapore. We want to see how the Singapore audience is different from the ones in Japan. We also hope that the audience will get to know us a bit more and will keep coming back for our performances. POPCulture Online: Maria San, as a trainee how does it feel to be a part of AKB48 and tell us about your experience so far? MARIA ABE: Before i joined AKB48, I had been performing with a training group and now I get to perform with the various teams in AKB48. Through this I've learnt a lot for the more experienced members. I think it's a previlege to be a part of the group and to have the opportunity to keep learning from the other members. 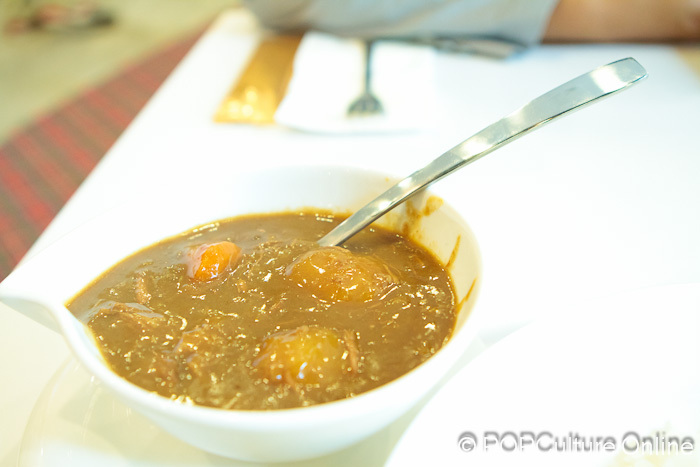 With a seating capacity of 60, the AKB48 Official Café Singapore continues the AKB48 trademark style of keeping their idols accessible and evolving with their fan base. Aimed at providing an all-rounded experience and activity centre for fans and J-pop newbies alike to chill out and soak into the AKB48 atmosphere. 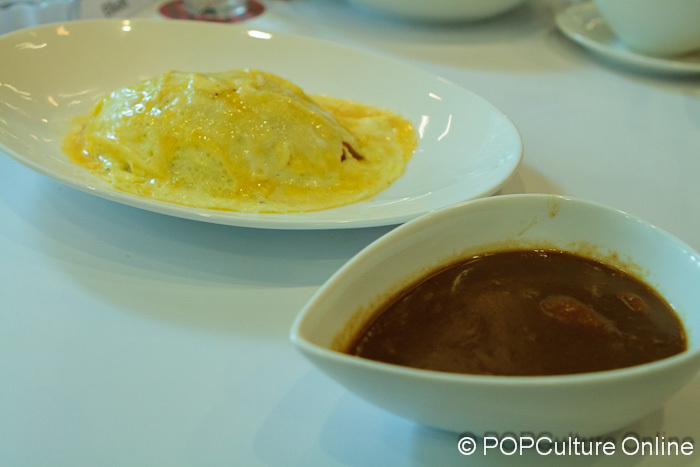 We got to try out some of the dishes on their menus and the POP Crew highly recommends you make a trip down soon! To date, four AKB48 concerts and one SDN48 (AKB48’s sister group) concert have been held since May 2011, with about 2,500 attendees. To meet their fans in person and spread awareness of their presence in Singapore, AKB48 members have held several “hand-shake” sessions, while SDN48 members took to the Orchard Road streets to greet and give out flyers to tourists and Singaporeans alike. We’re very heartened that Singapore is warming up to the AKB48 idols concept. Staying true to the ‘idols you can meet everyday’ idea, whether it’s the concerts or the store, we have seen a diverse range of customers – from families to children to couples and youths alike. The high quality performances of the concerts, the warmth and cheeriness of the AKB48 members, have won the hearts of many and we look forward to continued support from Singapore and our neighbouring countries. Shawn Chin, AKB48 Singapore’s Project Director. 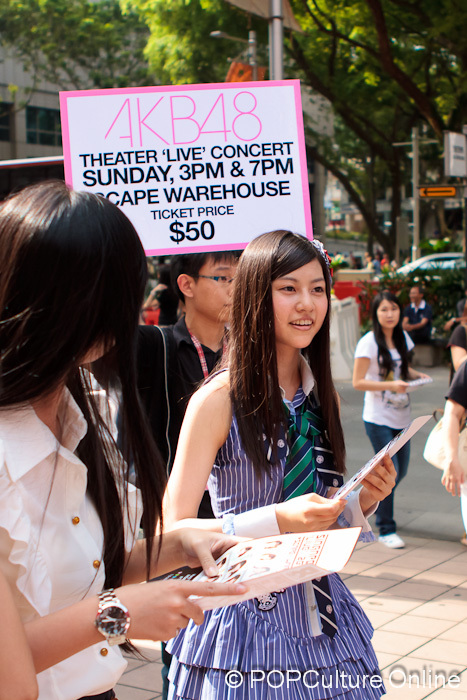 The AKB48 members rounded up the afternoons' festivities by walking the streets of Orchard Road to greet their fans, take pictures and hand out flyers about their up coming concert. They certainly gained new fans while their current ones supported them in full force, tagging behind as they made their way through Orchard. The girls also had a special message for all our readers.